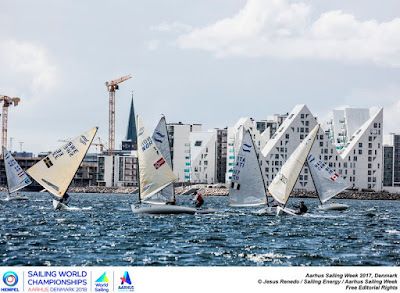 Sailors from Bermuda, Cuba, Iran, Hong Kong, Namibia, Serbia, South Africa and Venezuela will benefit from coaching and support before and during the championship in Aarhus, which is the second most important regatta in the quadrennium. These eight sailors will join 92 other Finn sailors in Aarhus. Due to the high demand for Finn placesin Aarhus, the organising authority increased the quota for Finns from 90 to 100 (compared with just 80 at the same event in Santander in 2014) and it is already fully subscribed. More sailors are also on the waiting list with MNAs requesting additional places. The ENP is offered to sailors from countries where there are little resources to support the training facilities for the sailors. Of the eight nations represented in the Finn class, the four sailors from Iran, Serbia, Namibia and South Africa will be the sole representatives of their country in Aarhus. 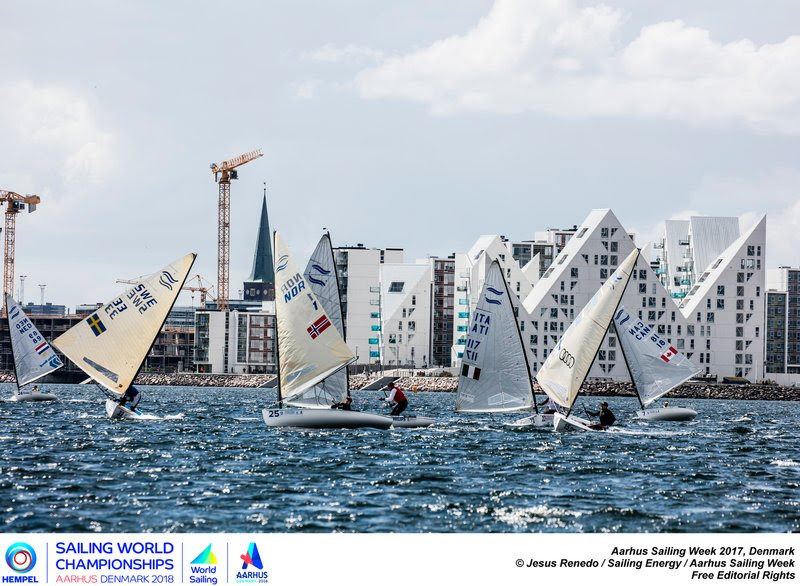 The Finn class ENP in Aarhus is a three way project with funding from the Aarhus 2018 Organising Committee, World Sailing ENP funding and the Finn class, all working hand in hand to make this great collaboration possible. Initially it was intended to run clinics for the Laser, the Radial, and one other class that has strong traditions in Denmark. However there will only be clinics for the Finn and the Radial classes before and during the 2018 worlds. Former Finn sailor Mads Bendix, from Denmark, will coach the ENP Finn sailors through a pre-championship clinic and then support them all the way through to the end of the regatta. Some of the sailors will also be training at the Valencia Dinghy Academy, which has strong links to the Finn class development programme, prior to the Aarhus clinic. The ENP participants will get free accommodation, equipment and coaching for the clinic and the duration of the worlds. The Finn class is also helping secure suitable equipment to make sure each sailor has the correct mast and sails for their height, weight and sailing style. Of the eight ENP participants – Rockal Evans, Bermuda; Luis Mario Suarez Manso, Cuba; James Dagge, Hong Kong; Ahmad Ahmadi, Iran; Constantin Hatzilambros, Namibia; Tihomir Zakic, Serbia; Dave Shilton, South Africa; Andreas Lage, Venezuela – several have sailed Finns at an international level, some have sailed at a national level and a few are just starting in the class. James Dagge, 28, is a life long sailor, predominately in Lasers and Etchells, “But I am a big boat tactician now, so getting back into dinghies has been a good challenge and lots of fun.” He sailed his first Finn regatta in January 2018 in Australia, followed by the Europeans in Cadiz, Spain in March and has a full programme ahead as he tries to qualify for Tokyo 2020. He sailed his first youth worlds in Aarhus in 2008, and then began training for the Rio 2016 Olympics. However political instability in Venezuela made it impossible to continue, so he stopped and moved to Spain and set up a sailing school. Two years later the Olympic bug had bitten again. Tihomir Zakic, from Serbia, has been sailing Finns both at home and in Hungary since 2013, became Serbian national champion in 2016 and has set himself a goal to increase the size of his national fleet. Ahmad Ahmadi is attempting to be the first Olympic sailor from Iran. He competed the Asian regional qualifier for Rio 2016, helped by Finn Class development funding and is now full time training for Tokyo, again with Finn class funding, but the ENP providing additional support. Constantin Hatzilambros, 33, from Namibia, moved into the Finn 18 months ago after sailing Lasers and Hobies. Up until Aarhus, he will be training in South Africa. The Finn class is very pleased to welcome so many new sailors to the class through the Finn ENP programme and wishes them the best of luck in Aarhus in August.